Plus a 1 year warranty. Unable to see obstructions on the ground, she twisted her ankle. Her problem led her to a solution. 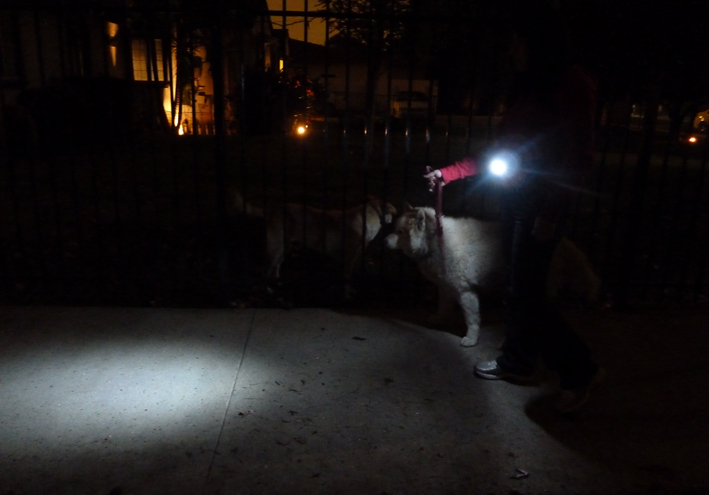 "I imagined a belt that would light the ground as I walk.... less than 48 hours later, I had created the first prototype, my sister Sandra put it on and we tested in the back yard." 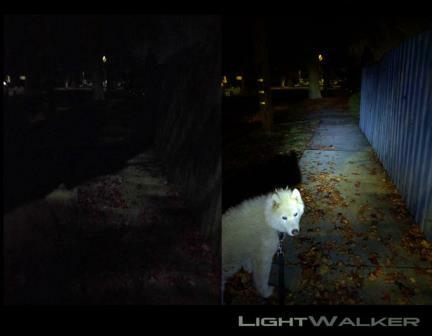 Less than a week later, the two of us had started Accessories LA to offer the LIGHTWALKER to other walkers in America." recalls Sonia. Sisters Sonia & Sandra Alvarado co-founders of Accessories L.A. and creators of the LIGHTWALKER belt, are Emmy Award winners with a background in TV production. 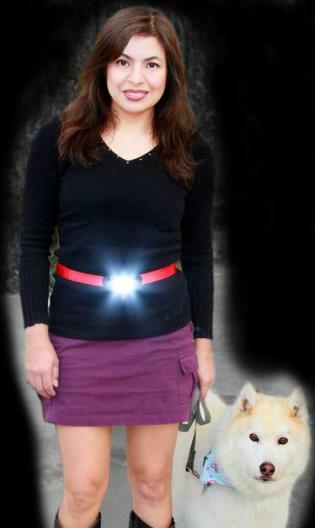 In November of 2010 they used their creativity to develop a belt that lights the ground. 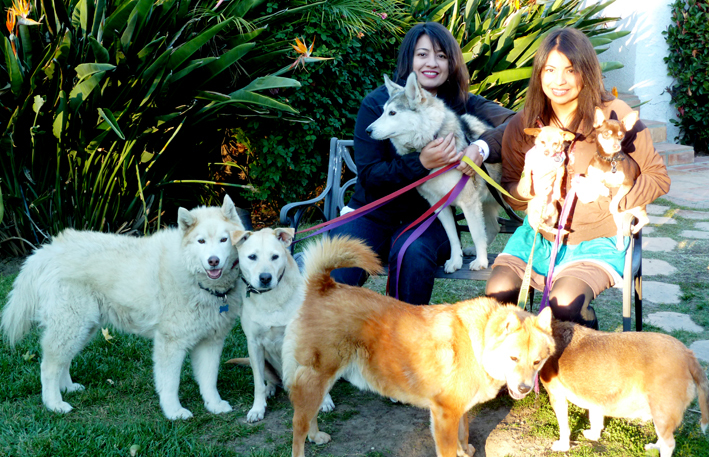 As animal rescuers they also committed to donating from profits of LIGHTWALKER belts to shelters & rescue organizations in the U.S. 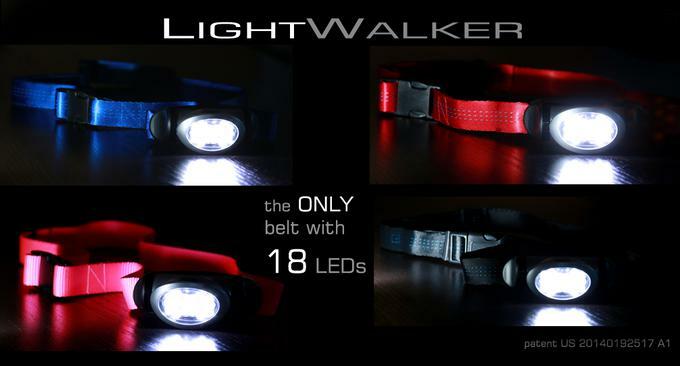 The idea for the LIGHTWALKER belt was born out of necessity. 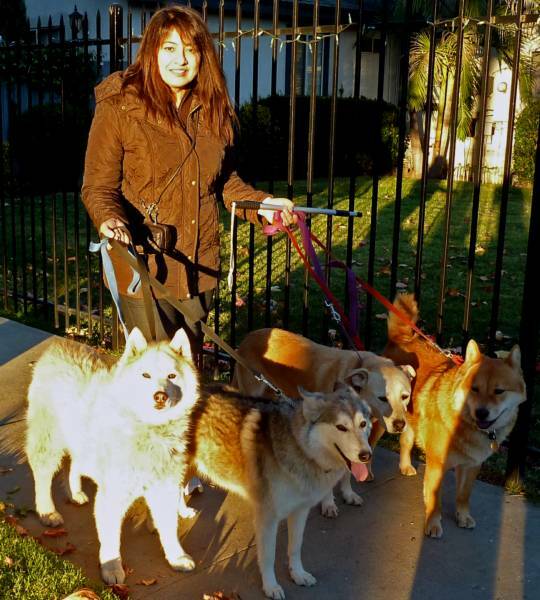 Sonia was walking her 4 dogs by herself one evening and didn't have a free hand for a flashlight.